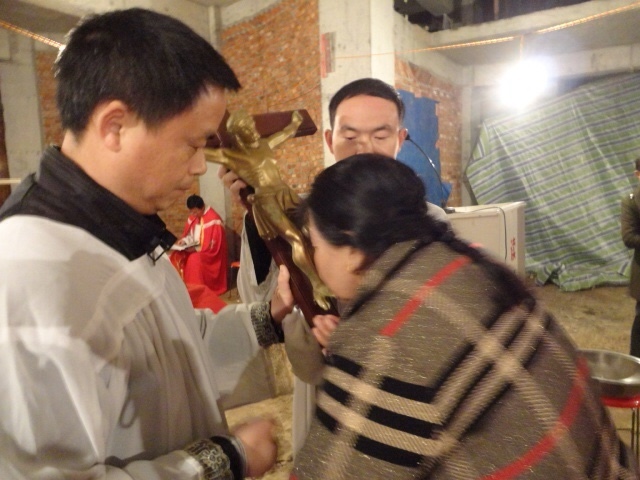 Last Sunday, Pope Francis at the prayer of Queen Coeli, asked to join the prayer of Chinese Catholics, on the feast day of May 24, the World Prayer Day for the Church in China instituted by Pope Benedict XVI. In the Sheshan Chinese Shrine, where the Virgin Mary “Help of Christians” is highly revered by Catholics in China, Mary presents her Son to the world with her arms wide open in a gesture of love and mercy. Love and mercy are the main roads where the gospel walks and incarnates in the great Chinese world. Each year in the sanctuary thousands of Chinese pray especially at the feast of Our Lady of Sheshan, who is also the patron saint of China. Pope Benedict XVI wrote the prayer to the Virgin of Sheshan, entrusting her all over China and the church in China. Benedict XVI had entrusted in the letter to the bishops, the priests to consecrated persons, and to the lay faithful of the Catholic Church in the People’s Republic of China, requesting that the day of the liturgical memory of Our Lady of Sheshan on 24 May become a worldwide day of proximity and prayer for the Church in China. The church dedicated to the Virgin was built in the 19th century and is located on top of a hill just a few kilometers southwest of Shanghai. 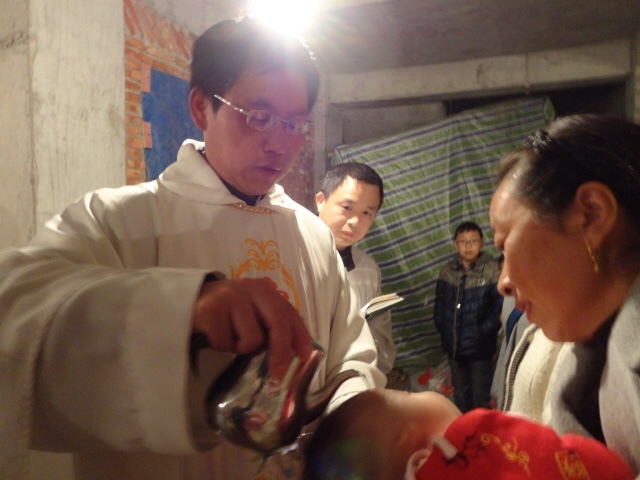 The devotion to Mary in China has always been and still is today a determining factor of unity in the church. We ask, in this Easter time, at the thresholds of Pentecost, to the Spirit to break forth once again in the beloved China Church. The Spirit calls us to an original and always new identity to which we must leavewith confidence. The Spirit tells us that Jesus Christ is not a guardian of a fortress, He is not a reference point of the past, He is not the stool of any egotism, even ecclesial, but is the guarantee for the future. 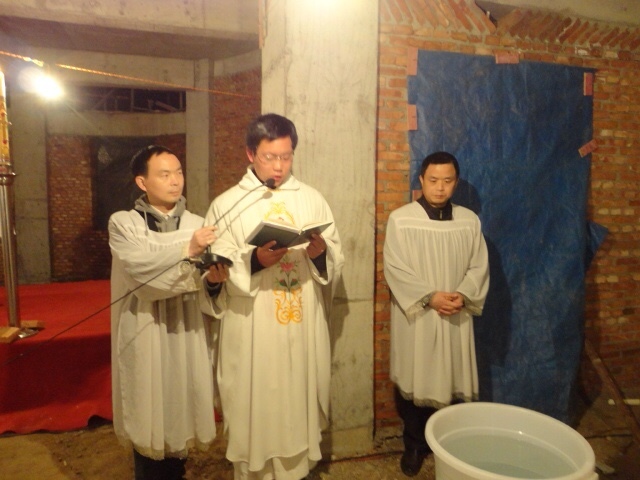 We know that even in the church in China, there is no future without memory. Our memory, however, can no longer be made by professions of faith proclaimed with the sword in hand, with the tendency to excommunicate others who do not think as us. 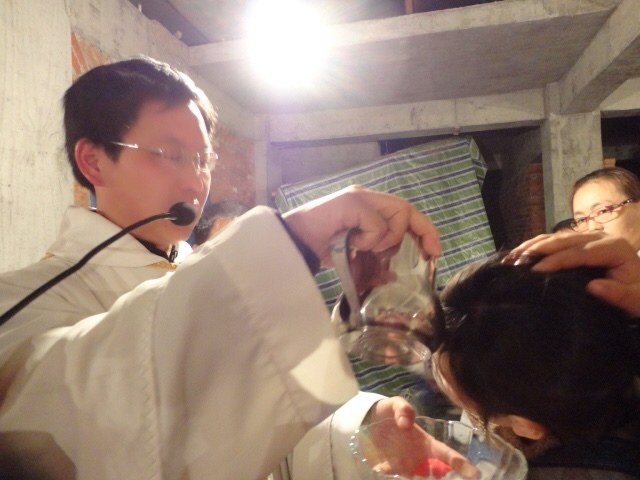 Categories: Church, Church in China, Conversion, English post, Faith, Holy Spirit | Permalink. 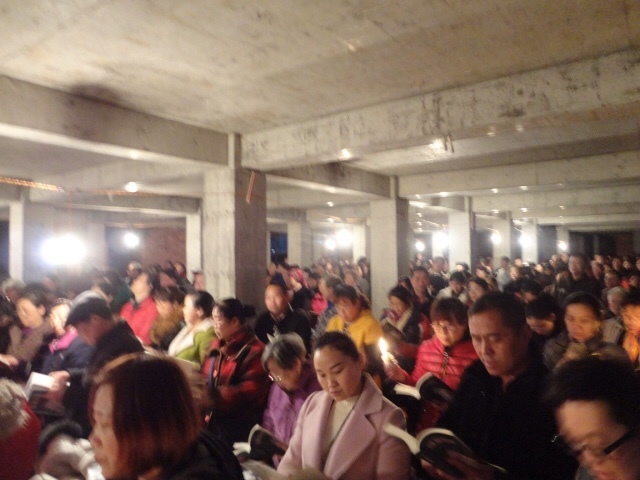 Riceviamo e pubblichiamo una testimonianza su come ha vissuto il Venerdì Santo e la Veglia di Pasqua una comunità cattolica nella provincia dell’Hubei. Ci scrive il sacerdote don Paolo Zhang, che con gioia ci comunica che durante la Veglia sono stati celebrati quattro battesimi. Rimaniamo in unione di preghiera con gli amati fratelli della Chiesa in Cina, cui siamo grati per la testimonianza di fede e di vita. 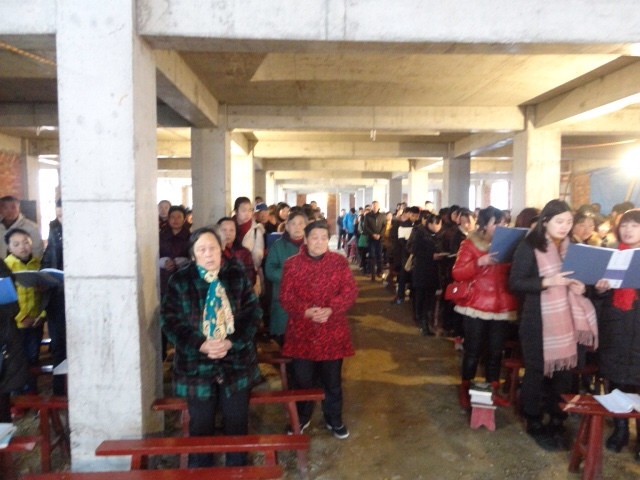 We receive and post a witness about a Catholic community in Chinese Hubei province. The photos were sent to us by fr. 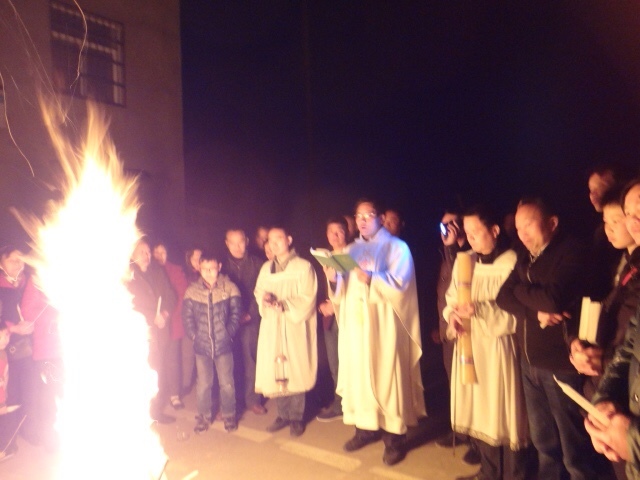 Paolo Zhang, who presided the liturgical celebration of the Good Friday and the Easter Vigil Mass on Saturday night, during which four baptisms were celebrated. 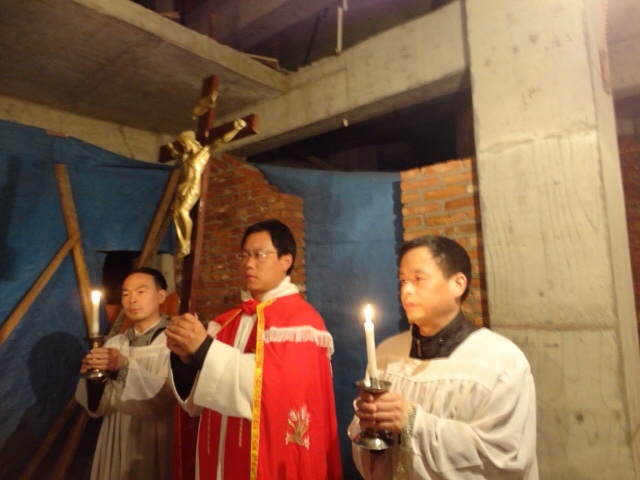 We are most grateful to our dearest brothers and sisters of the Church in China for their witness of faith and life. 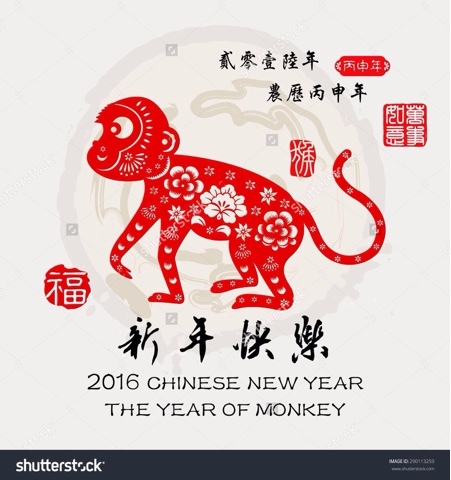 Categories: Chiesa in Cina, China, Church in China, Cina, Easter, Holy Week, Pasqua, Post in italiano, Settimana Santa, Triduo, 中国, 中国教会 | Permalink. Isn’t it great to have friends come from far away? In entering into relation with another there is always the possibility of making mistakes while getting to know them, but I believe the biggest mistake would be to presume that we fully know the other and thus seal them within that definition. I don’t have the pretention to think that I know what Pope Francis was thinking, but what he said about ‘the cake’ struck me. In this I saw an opening up, so as to not take ones own cultural background as a given, but to accept that the other may understand the very same thing differently due to different cultural backgrounds. Therefore this allows for dialogue and even gives space for interest and curiosity of one another to grow. The possibility of making mistakes remains of course but should this scare or discourage us? I don’t think so, clearly the importance of acknowledging and evaluating the dangers remains however this should not discourage us from reaching out to one another. It is so freeing to hear that our (and my) past mistakes don’t mean that it’s all over. Rather than regretting the past and holding onto it, allowing it to keep me stuck in the past there is the opportunity to acknowledge it, learn from it and decide to walk towards a hopeful and realistic future. I love the image he used of water that keeps pure because it flows ahead, does it mean that the water has an easy and open stream ahead of it? I don’t think so, but the water as it flows downstream will naturally find even the smallest space to pass from, and as it goes along it is also purified passing through the rocks. So what did I personally receive from Pope Francis’ interview? Hope, for dialogue, for learning and for resilience as this river flows. Categories: China, Church in China, English post, Pope Francis | Permalink.